The Chief Executive Officer of BUCKWYLD Media Company Limited, Mr. Efe Omoregbe has shed more light on the Power Of 1 Project, 2Baba's movie which will hit the cinema on December 7th and the biggest project collaboration that will usher in the much needed change in Nigeria. According to him, "the plan is to reach young people with the movie. 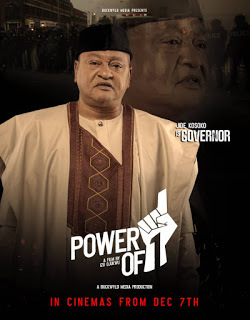 The Power Of 1 campaign will also go beyond the movie. It is a mass campaign. It is not going to be a one off thing. We are working with young people to adopt civic responsibilities within their communities, emcourage them to come together interact and adopt positive projects to positively use their energies. It will be an opportunity to challenge the youths to counter the situation whereby everyone just waits on government, sit back, fold hand and say it does not concern them. Or that nothing can be done or that change can only come from government. It shouldn’t be so. "We all should be part of that much needed change. There is so much that we can achieve together that is the message of the Power of 1. It is a time for ordinary Nigerians to take actions to improve their lives and it starts from an individual, one person. And that again is what the power of one is about. It is a determined action plan to engage the youths positively. 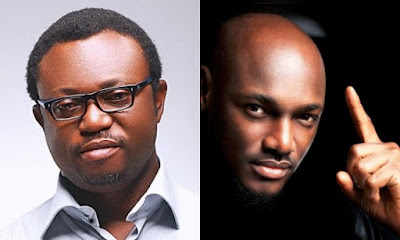 And how involved is 2Baba in all these? Efe Omoregbe replied: "Yes, the 2Baba Foundation and Buckwyld Media is working together and putting these together. BUCKWYLD Media is the production and activation partner with the foundation ensuring that the Power Of 1 is a successful project." How can I participate in the muvie?